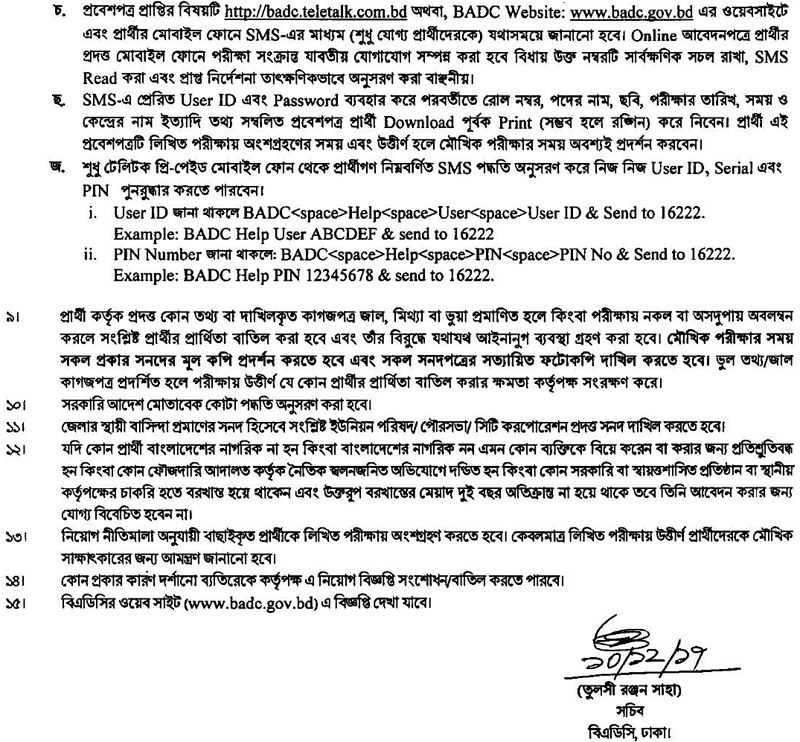 ■ How to Apply BADC Job: Apply with full Resume to Secretary, BADC, Krishi Bhabon (11th floor), 49-51, Dilkusha C/A, Dhaka- 1000. 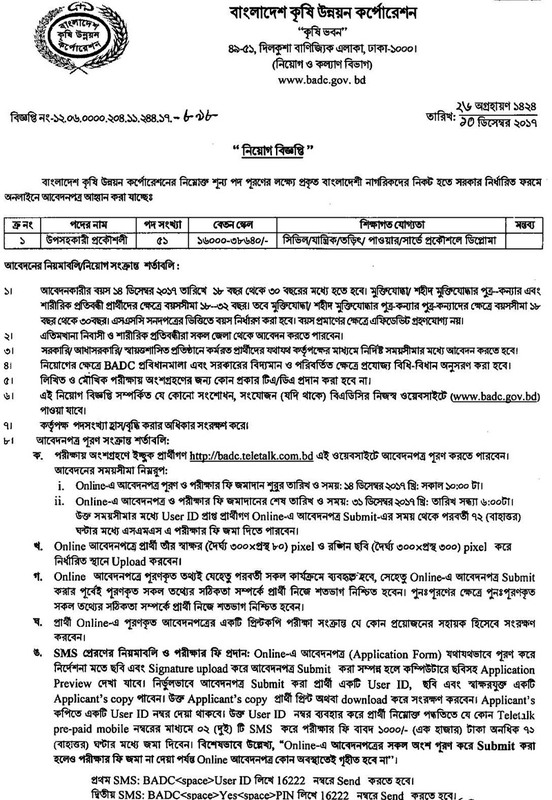 ■BADC Job Location: Anywhere in Bangladesh. ■ Age Limit: 30 years & Freedom fighter child 32 years.